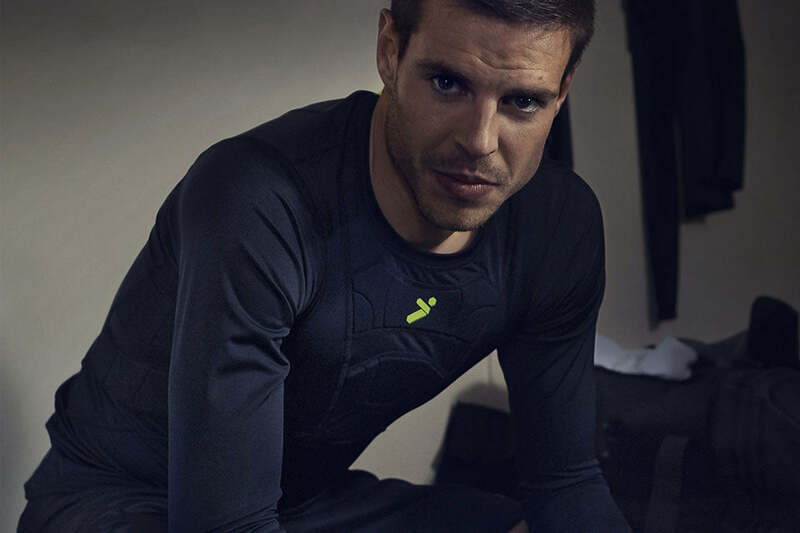 With Storelli leading the way in developing product to not only enhance performance but prevent injury, their strategy is unique as well as aspirational. 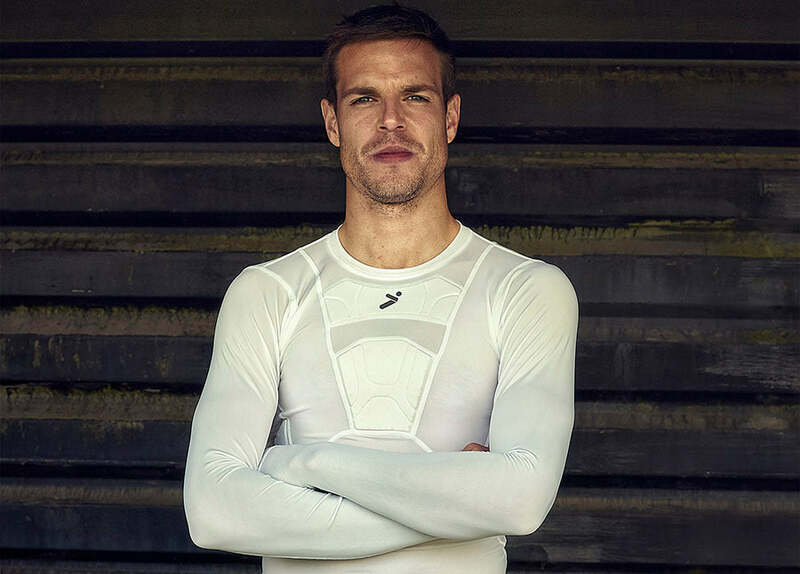 They are a brand who have added serious clout to their approving roster, including Premier League winner Cesar Azpilicueta. In getting to know more about him and his game, we spoke to him as he suited up in the Brooklyn brand, ahead of the 17/18 season. Cesar, like any player you’ve picked up injuries throughout your career. How frustrating is it when you’re out injured? It is really frustrating because you really want to be out on the pitch, involved and performing. It’s a tough period but sometimes it happens. I had a bad injury but I tried to recover as fast as I could and to prepare to be stronger too. You ruptured the anterior cruciate ligaments in your left knee at a young age. What was the recovery process like during that time? It was tough. I spent a lot of time in the hospital recovering. The first two or three months were the slowest months in my life because you can’t move, you can’t get around and you need help. So it was tough but it gave me a chance to see another part of football and it does motivate you to work even harder and appreciate everything too. Did it change the way you saw the game afterwards? The way you played? It changed by whole body to be fair. I got some more kilos, more muscle. I think also because I was twenty, my body was still changing. I was able to come back stronger and better I think. It must be difficult when you have to miss out on the day-to-day training with your teammates. Having to train your own must be quite hard psychologically? Yeah, really hard because you are used to coming into training every day and playing, working hard and playing games. All of a sudden you miss that and the feeling of being out on the pitch. It’s difficult mentally as well as physically. What are you like at watching your team play from the sidelines? That was the hardest thing I’d say. You want to be out there, it’s what you’re made for and you can’t do it. It makes you appreciate the game from a difficult angle but all you can do is learn and prepare. What sort of person are you like when you’re injured? Patient/impatient? Bad mood? I was frustrated. No one likes to be in that position but you have to accept it too. It’s all about looking forward and remaining professional. That’s how you will recover best. A lot of footballers have suffered serious injuries. How does it affect you when one of your teammates gets ruled out of action for a season? I’m in a position having gone through a long injury that I can now advise them. We’re team mates so I’d explain the feelings I went through and try to help them because I’ve been through it and I had the same experience. I had a lot of help from other people who had the same injury. That support is invaluable. Yeah maybe. I think the protection and security in the game is as much as you’d want it to be but we work on injury prevention as a team and individual but we know that every time you head out onto the pitch there’s a chance you could come off it injured so for the product, there’s always something that can be done there. Protection has often been looked at in a negative light in football. As a sign of weakness perhaps. Do you think that attitude is changing? Everytime you go out onto the pitch, people could see it as taking a risk but using products that we have, we try to protect ourselves as much as possible and it works. Making sure we wear the right stuff and prepare appropriately is something that is in our hands so there’s no reason why we wouldn’t take the right actions. Choosing the right equipment is all part of that. You’ve played more as a central defender in a three last season. Has that changed how you manage your game, marking bigger strikers? It’s a different role and obviously I’ve played in different positions but I took that as a challenge. It gave me a chance to be better and develop to help the team. I’ve enjoyed it and found I can perform well in the position. Chelsea are ultra competitive, there must be times training where it can get quite physical? We want to win trophies and be at the top level so that comes with tough training. It’s important we train hard. We know that we have to show up every game with a very high level and to perform because we’re in the game to win. What’s it like marking someone like Diego Costa in training each day? Yeah he’s a great player. He requires a lot of hard work to defend against and it can only make you better but training against him constantly. The Premier League is renown for being physical. Are there certain games you can remember where the team or players have been over physical? There are a lot. I don’t remember too many individual ones that stand out more than others because they’re all very physical. Some teams are more physical than others and some may play a long ball or second ball style of play so you have to adapt and play differently from one game to the next. They demand a different game each week - I find that interesting about the Premier League. There are a lot of different styles of play. It’s good because you can adapt and every game is a different challenge for the team. When you are injured you’d give anything to go back to the moment and find a way to prevent it. Storelli are aiming to help prevent injuries. What was your first impression of the brand and products? It feels comfortable. I can see the objective of the brand. It’s all about that extra protection for the players but they don’t forget the comfort. It’s all pretty light product and you don’t feel like you’re wearing it when it’s on so it’s not a distraction. That’s really important but equally the protective elements will help, I’m sure. It’s interesting to train in them and put them into a game. On the pitch it’s important to feel comfortable in the way products look as well as perform, Storelli have offered a bit of style with their product range, is that important to you? Yeah, they have different colours and I think the style is modern and good and overall because you’re comfortable, you feel good wearing it. So it’s good. It’s always interesting to see new technology in football. Do you like to see new products that come to the market? Yes, it’s always good to see things come out. It’s always good to see new brands trying to develop new product as well and trying to improve. Those fine margins in football. Everybody wants that little bit more to make them better. Do you subscribe to that way of thinking where product is concerned too? Yeah for sure. I agree with that. It’s always with small changes you can make a big difference. Especially in football, so it’s important we see brands and people doing that. I very much believe in that. Product can go someway to relieving the pressure as you look to defend a Premier League title. Do you find that you go into games with the pressure off or is there more pressure? I’d say there is more because the challenge is more intense. Everyone will want to beat us and so we have even more responsibility to win. We want to hit our targets and always be our best but there is always pressure. How would you describe off the pitch? I’m a quiet guy off the pitch. I like to enjoy the time I have off it with my daughters and my widfe and family. I like to relax and I’d say I’m a quiet guy.